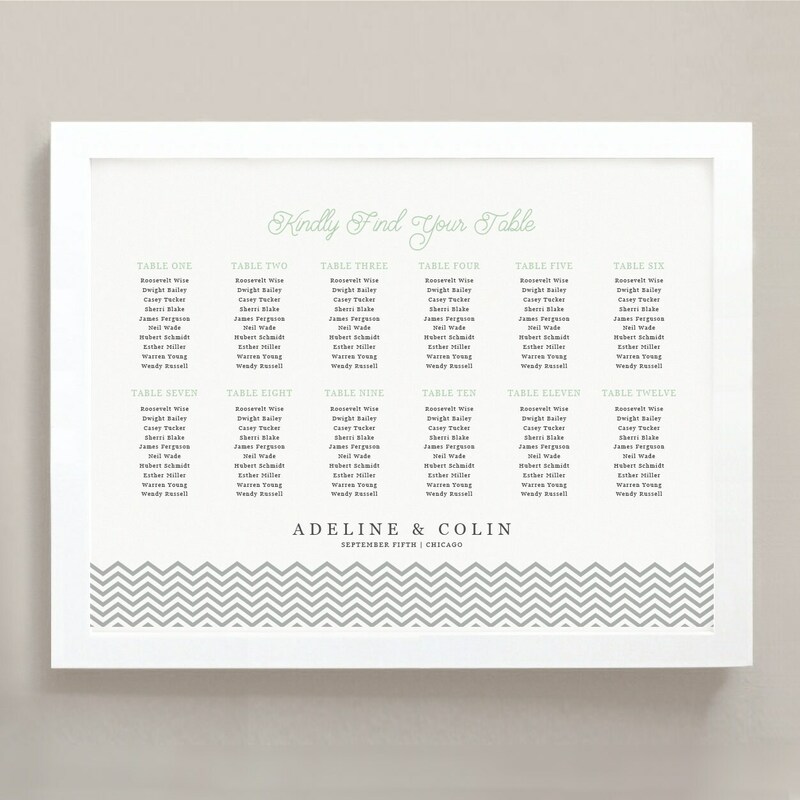 This printable wedding seating chart poster will make DIY a breeze! It is easy to personalize on your home computer in Word or Pages, and is compatible with Vistaprint. 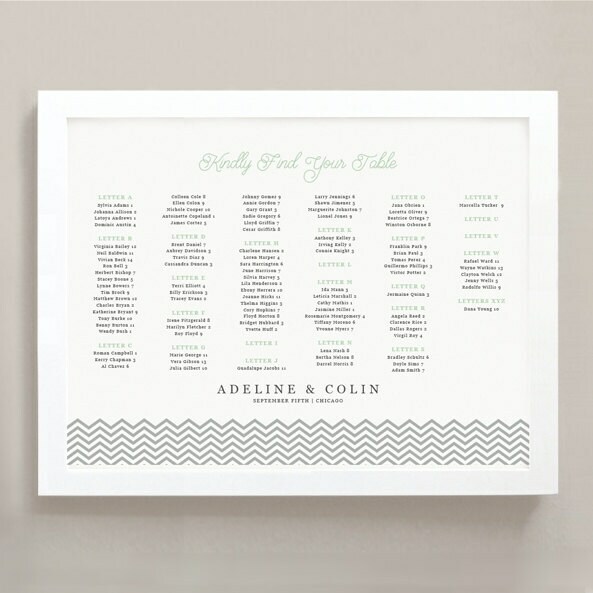 Includes layouts for organizing by name, as well as by table number. If you have a lot of guests, I suggest using the included Alphabetical Chart, pictured in the additional listing photos. One can easily accommodate 200-300 guests on this chart, by reducing the line spacing and font size. CAN I RESIZE THIS TO 24x36? If you are using Vistaprint you can print this design as a 18x24 or a 24x36 poster. Simply save as a PDF and upload your PDF to Vistaprint. Make sure all of your text is within the safety margins.